Guitarist/harmonica player/songsmith Big Dave McLean proves once again why he’s a national treasure with the release of Better The Devil You Know, a follow-up to his release, Faded But Not Gone, which garnered his third Juno Award, the highest honor a musician can earn in his native Canada, and which also was a finalist for acoustic album of the year in the 2015 Blues Blast Awards. The son of a Presbyterian minister and born in Yorkton, a wooded farm community in southeastern Saskatchewan, he got his start as a musician after receiving an impromptu guitar lesson from John Hammond at the Mariposa Folk Festival in Ontario in 1969 when he was just 17 years old. McLean has been based out of Winnipeg for decades. 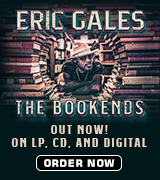 His smoky, road-weathered voice that hints of Long John Baldry, his solid musicianship and his gregarious personality have been winning over fans and critics on Canada’s folk and blues circuits alike ever since. 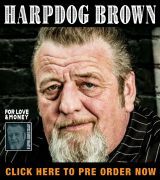 Gifted with a lifetime achievement Maple Blues Award in addition to many other tributes from organizations far and wide, he’s considered to be one of the most influential artists ever based in Western Canada. While McLean is just as comfortable delivering his music solo, this one features him backed by an all-star electric band. It was produced by fellow Black Hen Music label mate Steve Dawson, at his Henhouse Studio in Nashville. A multiple honoree for his work in the control room in addition to being a former Blues Blast Award nominee himself, Dawson adds acoustic, electric, pedal steel, dobro and National steel guitar, mandotar and weissenborn in addition to backing vocals. The rest of the all-star lineup includes bassist John Dymond and drummer Gary Craig, the rhythm section from Blackie And The Rodeo Kings, as well as Music City-based mandolin and fiddle player Fats Kaplin, who’s worked with everyone from Waylon Jennings to Mark Knopfler, the gospel powerhouse vocalists the McCrary Sisters, Ann and Regina, and Kevin McKendree, one of Music City’s foremost sessions players, who’s served time with Brian Setzer, George Thorogood, Tinsley Ellis and many others. A cover of Muddy Waters’ “You Can’t Lose What You Never Had” precedes the traditional Southern gospel number “You’ll Need Somebody On Your Bond,” which features an a capella introduction from the McCrarys and Kaplin’s fiddle work and a McLean harp solo. The Dawson-penned “Angeline” follows before two originals – the country-tinged love song “I Need You” and the rock-flavored “Where The Music Comes From,” a tip of the hat to Mississippi, the birthplace of the blues. “Old Time Religion” – not the old gospel number, but a fairly recent tune by Parker Millsap about a killer who keeps the bodies in his shed – follows before McLean delivers “Swingin’ On Heaven’s Gate,” a pleasant country-seasoned spiritual in which Dawson doubles Dave on the chorus. “Deliver Me,” a song of desire written by Jeffrey Hatcher, is up next before new takes on Muddy’s “Deep Down In Florida” and Dawson’s “The Side Of The Road.” A plea for peace and love follows in “Talk About Revelation” before a version of the traditional “Pet Rabbit” – delivered solo on a Resonator guitar — brings the set to a close. 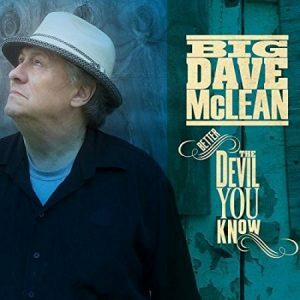 Available through all major online retailers, Better The Devil You Know will be a fine addition for anyone who’s a fan of modern acoustic blues. Despite the presence of a full band, the rich arrangements never overpower as they provide superb support.